Good news and bad news. First the good. After a seven-month and 300 million mile (483 million km) journey, the Trace Gas Orbiter (TGO) successfully achieved orbit around Mars today. A signal spike appeared out of the noise about 12:35 p.m. EDT to great applause and high-fives at ESA’s European Space Operations Center in Darmstadt, Germany. Two hours later, news of the lander arrived. Not so good but to be fair, it’s still too early to tell. Schiaparelli broadcast a signal during its descent to the Red Planet that was received here on Earth and by the orbiting Mars Express. All well and good. But then mid-transmission, the signal cut out. Paolo Ferri, head of ESA’s mission operations department, called the news “not good signs” but promised that his team would be analyzing the data through the night to determine the status of the lander. Their findings will be shared around mid-morning Friday Central European Time (around 5 a.m. EDT). Three days ago, Schiaparelli separated from the orbiter and began a three-day coast to Mars. 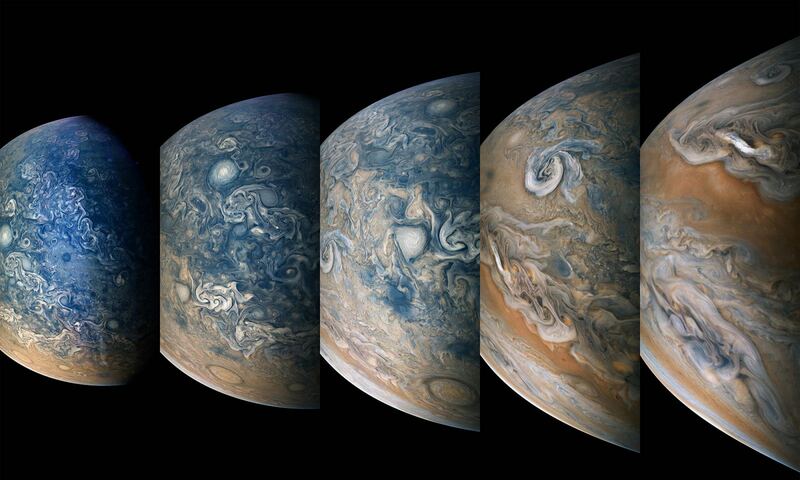 It entered the atmosphere today at an altitude of 76 miles (122 km) and speed of 13,049 mph (21,000 km/hr), protected from the hellish heat of re-entry by an aerodynamic heat shield. If all went well, at 6.8 miles (11 km) altitude, it would have deployed its parachute and moments later, dropped the heat shield. At 0.7 miles (1.2 km) above the surface, the lander would have jettisoned the chute and rear protective cover and fired its nine retrorockets while plummeting to the surface at 155 mph (255 mph). 29 seconds later, the thrusters would have shut off with Schiaparelli dropping the remaining 6.5 feet (2 meters) to the ground. Total elapsed time: just under 6 minutes. For now, have hope. Given that Schiaparelli was primarily a test of landing technologies for future Mars missions, whatever happened, everything we learn from this unexpected turn of events will be invaluable. You can continue to follow updates on ESA’s Livestream. ** Update Oct. 20: It appears that the thrusters on Schiaparelli may have cut out too soon, causing the lander to drop from a higher altitude. In addition, the ejection of the parachute and back heat shield may have happened earlier than expected. “The data have been partially analyzed and confirm that the entry and descent stages occurred as expected, with events diverging from what was expected after the ejection of the back heat shield and parachute. This ejection itself appears to have occurred earlier than expected, but analysis is not yet complete. The countdown has begun for blastoff of the ambitious European/Russian ExoMars 2016 spacecraft from the Baikonur Cosmodrome in Kazakhstan on March 14. Its goal is to search for minute signatures of methane gas that could possibly be an indication of life or of nonbiologic geologic processes ongoing today. Final launch preparations are now in progress. Liftoff of the powerful Russian Proton booster from Baikonur carrying the ExoMars spacecraft is slated for 5:31:42 a.m. EDT (0931:42 GMT), Monday morning, March 14. The prelaunch play by play begins with live streaming at 4:30 a.m. EDT (08:30 GMT). Spacecraft separation from the Breeze upper stage is expected at about 10 hours, 41 minutes. The ExoMars 2016 mission is comprised of a pair of European spacecraft named the Trace Gas Orbiter (TGO) and the Schiaparelli entry, descent and landing demonstration lander, built and funded by the European Space Agency (ESA). Russian is providing the Proton booster and part of the science instrument package. “The main objectives of this mission are to search for evidence of methane and other trace atmospheric gases that could be signatures of active biological or geological processes and to test key technologies in preparation for ESA’s contribution to subsequent missions to Mars,” says ESA. ExoMars is Earth’s lone mission to the Red Planet following the two year postponement of NASA’s InSight lander from 2016 to 2018 to allow time to fix a defective French-built seismometer. ESA reported late today , March 13, that at T-minus 12 hours the Trace Gas Orbiter has been successfully switch on, a telemetry link was established and the spacecrft battery charging has been completed. The Proton rocket with the encapsulated spacecraft bolted atop were rolled out to the Baikonur launch pad on Friday, March 11 and the launcher was raised into the vertical position. ESA mission controller then completed a full launch dress rehearsal on Saturday, March 12. The ExoMars 2016 TGO orbiter is equipped with a payload of four science instruments supplied by European and Russian scientists. It will investigate the source and precisely measure the quantity of the methane and other trace gases. Final launch preparations are now in full swing for the ambitious European/Russian ExoMars 2016 spacecraft which has been encapsulated inside its payload launcher fairing and is slated to blast off for the Red Planet one week from now on March 14, 2016 from Kazakhstan. On March 2, technicians working at the Baikonur Cosmodrome in Kazakhstan completed the complex multiday mating and enclosure operations of the composite ExoMars 2016 spacecraft to the launch vehicle adapter and the Breeze upper stage inside the nose cone. The ExoMars 2016 mission is comprised of a pair of European spacecraft named the Trace Gas Orbiter (TGO) and the Schiaparelli lander, built and funded by the European Space Agency (ESA). 2016’s lone mission to the Red Planet will launch atop a Russian Proton rocket. The individual orbiter and lander spacecraft were recently mated at Baikonur on February 12. To prepare for the encapsulation, engineers first tilted the spacecraft horizontally. Then they rolled the first fairing half underneath the spacecraft and Breeze on a track inside the Baikonur cleanroom. Then they used an overhead crane to carefully lower the second fairing half and maneuver it into place from above to fully encapsulate the precious payload. The 13.5 foot (4.1-meter) diameter payload fairing holding the ExoMars 2016 spacecraft and Breeze upper stage will next be mated to the Proton rocket and rolled out to the Baikonur launch pad. The launch window extends until March 25. The battery powered lander is expected to operate for up to eight days. It is equipped with the first ever deep driller that can collect samples to depths of 2 meters where the environment is shielded from the harsh conditions on the surface – namely the constant bombardment of cosmic radiation and the presence of strong oxidants like perchlorates that can destroy organic molecules. Earth’s lone mission to the Red Planet this year has now been assembled into launch configuration and all preparations are currently on target to support blastoff from Baikonur at the opening of the launch window on March 14, 2016. Has life ever existed on Mars? Or anywhere beyond Earth? Answering that question is one of the most profound scientific inquiries of our time. Europe and Russia have teamed up for a bold venture named ExoMars that’s set to blast off in search of Martian life in about two and a half years. Determining if life ever originated on the Red Planet is the primary goal of the audacious two pronged ExoMars missions set to launch in 2016 & 2018 in a partnership between the European and Russian space agencies, ESA and Roscosmos. In a major milestone announced today (June 17) at the Paris Air Show, ESA signed the implementing contract with Thales Alenia Space, the industrial prime contractor, to start the final construction phase for the 2016 Mars mission. “The award of this contract provides continuity to the work of the industrial team members of Thales Alenia Space on this complex mission, and will ensure that it remains on track for launch in January 2016,” noted Alvaro Giménez, ESA’s Director of Science and Robotic Exploration. The ambitious 2016 ExoMars mission comprises of both an orbiter and a lander- namely the methane sniffing Trace Gas Orbiter (TGO) and the piggybacked Entry, Descent and Landing Demonstrator Module (EDM). ExoMars 2016 will be Europe’s first spacecraft dispatched to the Red Planet since the 2003 blast off of the phenomenally successful Mars Express mission – which just celebrated its 10th anniversary since launch. Methane (CH4) gas is the simplest organic molecule and very low levels have reportedly been detected in the thin Martian atmosphere. But the data are not certain and its origin is not clear cut. Methane could be a marker either for active living organisms today or it could originate from non life geologic processes. On Earth more than 90% of the methane originates from biological sources. 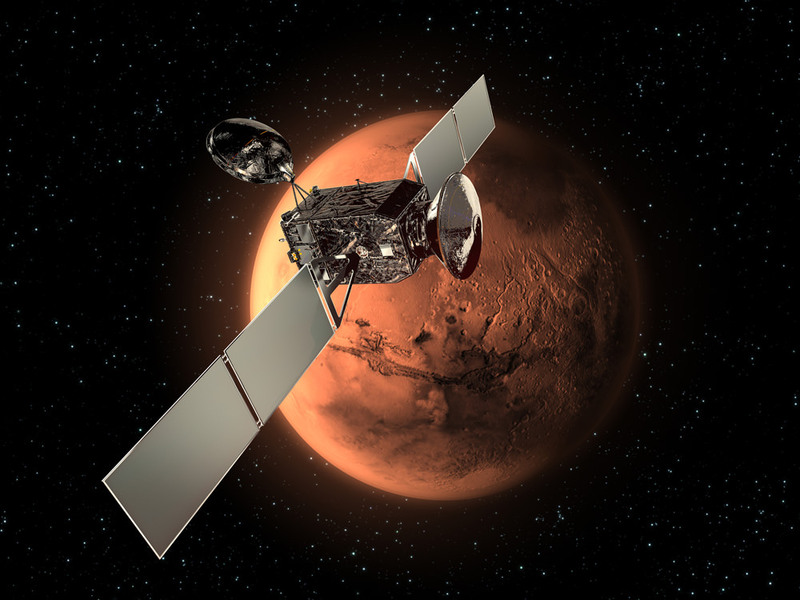 The ExoMars 2016 orbiter will investigate the source and precisely measure the quantity of the methane. The 2016 lander will carry an international suite of science instruments and test European landing technologies for the 2nd ExoMars mission slated for 2018. The 2018 ExoMars mission will deliver an advanced rover to the Red Planet’s surface. It is equipped with the first ever deep driller that can collect samples to depths of 2 meters where the environment is shielded from the harsh conditions on the surface – namely the constant bombardment of cosmic radiation and the presence of strong oxidants like perchlorates that can destroy organic molecules. ExoMars was originally a joint NASA/ESA project until hefty cuts to NASA’s budget by Washington DC politicians forced NASA to terminate the agencies involvement after several years of detailed work. Thereafter Russia agreed to take NASA’s place and provide the much needed funding and rockets for the pair of planetary launches scheduled for January 2016 and May 2018. NASA does not have the funds to launch another Mars rover until 2020 at the earliest – and continuing budget cuts threaten even the 2020 launch date. NASA will still have a small role in the ExoMars project by funding several science instruments. The ExoMars missions along with NASA’s ongoing Curiosity and Opportunity Mars rovers will pave the way for Mars Sample Return missions in the 2020’s and eventual Humans voyages to the Red Planet in the 2030’s.